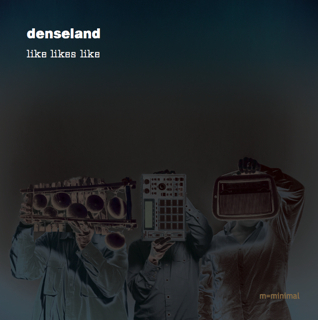 Listening to Denseland evokes shades of bygone music’s and not: Lou Reed’s Berlin period, Joy Division, Einstürzende Neubauten, the extended vocal madness of Roy Hart and Laurie Anderson, the distortions of the early Contortions, reduced Grandmaster Flash and John Carpenter. But Denseland’s sound also exists in its own sealed universe – one spanned by sinister timbres of seduction, grooves of foreboding imbued with a sardonic, almost wicked humor. The tracks lure the listener in through an incessant, underlying, looping drive; a forwards moving groove and throbbing pulse that both pushes back and ensnares you simultaneously. Under its sparse, crystalline, minimalist surface, Denseland’s music reveals contradictory undercurrents – unsettling noise, weird breaks, ominous drones, grinding distortion, disjointed electronic pulses, fractured beats, disfigured sounds.